FEELING STRESSED WITH TAXES TO PAY? End your TAX stress now. Call us for solutions. 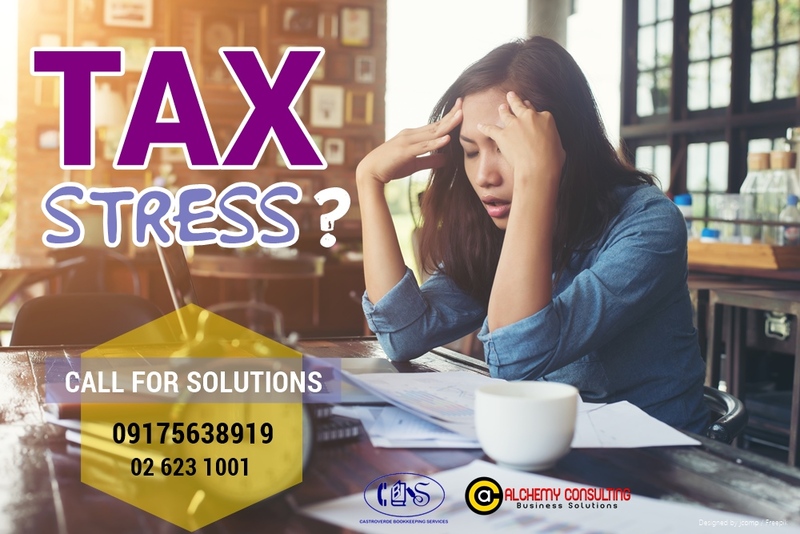 We aim to help and assist you to focus your business management on productive, peso generating strategies by handling your non-core, repetitive, back-office operations. We are your partner in increasing and expanding your company’s capabilities. We strongly believe that cooperation is the key to achieving an effective business that thrives, survives and innovates. We work with services as our primary priority. We put premium on customer satisfaction because ultimately satisfied clients are our gauge to our own success. We deliver measurable results through our high value added services, combining a team of highly-motivated people and optimized tools that today’s technology provides. We guarantee fast turnaround time, on–schedule reports, availability and accessibility, and flexible, realistic solutions to your needs. Accounting outsourcing is intended to help drive more profits to the bottom-line and enable SME’s to grow their business. Not only is it to a business’ advantage to do accounting, it is mandated by law. Every business must account for profit and loss, expenses, payroll, and many other accounting activities. All the monthly accounting data is collected at your premises for processing and once the information has been processed, it is delivered together with the financial reports. Don't let taxes complicate your mind. We commit to providing you a service of keeping accurate and concise accounting records for individuals and small to medium businesses. Timely payment of tax is what everyone wants to do. We will help you to comply the mandated returns and reportorial requirements. 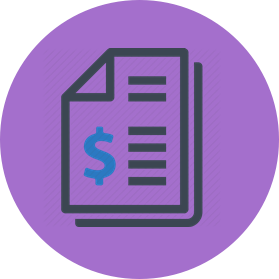 We take care of the payroll and you simply provide us with summarized time/pay records. From there we compute tax withholdings, SSS contributions of employee and employer, PhilHealth contributions, HDMF contributions, and salary deductions and accruals. You may reach us at 02 623 1001 / 0917 563 8919.